Question Of The Day:- Will You Stop Listening To Olamide For A Year For $1m? We want to know how much you love your favorite Artiste and how desperate you can be for their songs. Tell us how gigantic your love for Olamide and his music is, can any amount of make you stop listening to the Motigbana crooner for a whole year. 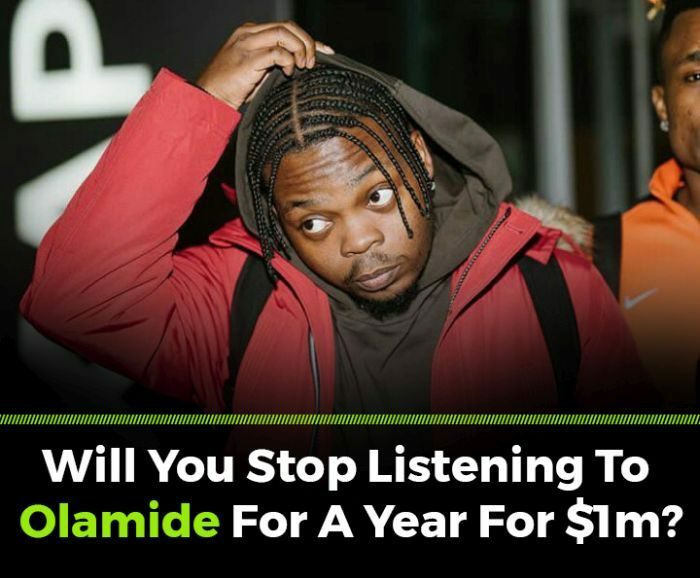 Will You Stop Listening To Olamide For A Year For $1m?